Henriquez has described the move to the Premier League strugglers as a “fantastic opportunity”. 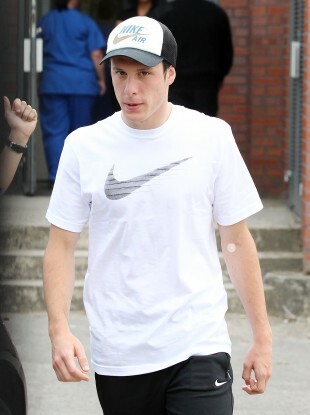 Chilean striker Angelo Henriquez has joined Wigan on loan. WIGAN ATHLETIC SAID on Wednesday that they have agreed to sign Chilean forward Angelo Henriquez on loan until the end of the season from Premier League rivals Manchester United. Henriquez, 18, joined United in the close season from Universidad de Chile and has been capped once at senior international level. “We’re really excited about Angelo because he is a very young man with a huge potential,” Wigan coach Roberto Martinez told the club website, after his side’s 4-0 defeat at home to United on Tuesday. “He’s a goal-scorer with clever movement inside the box and has had a very successful time with his former club, Universidad. Henriquez could make his Wigan debut on Saturday, when the Latics face third-division Bournemouth in the third round of the FA Cup. Email “Man United loan teenager Henriquez to Wigan”. Feedback on “Man United loan teenager Henriquez to Wigan”.